Sandra Teitge organises exhibitions in independent project spaces, on boats, and in public space. She received her MA in Art History from the Humboldt-University of Berlin and her BA in Media Studies and French from the University of Sussex, Brighton and the Nouvelle Sorbonne in Paris. She worked in the artistic office of the 7th Berlin Biennale and was involved in a private art project in Berlin as the assistant curator. She regularly contributes to the magazine Kaleidoskop and was a contributing author in the publication Metropolitan Views II. Art Scenes in Berlin 1989-2009 (Deutscher Kunstverlag, Berlin München 2010). 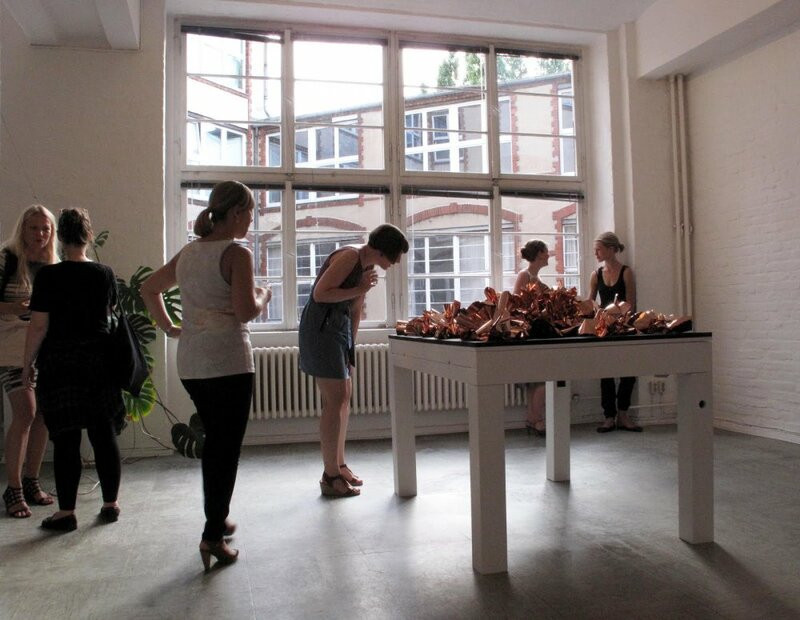 Her last curatorial projects included “From Anna Blume” at the Autocenter (2011) and the travelling project MASA BERLIN (2011). Sandra was a participating curator in our Curatorial Marathon in both 2012 and 2013.